Together we can help increase your search engine rankings, Google Local, and Social media. Web Tech SEO was started because of the frustration that real estate agents and brokerages have with most Internet marketing and SEO companies. What is that complaint you may ask? It is that all the companies that deal with realtors don’t have any idea about how the real estate industry operates. Danny Margagliano the owner and founder of the company has been a top producing real estate agent in Destin and Santa Rosa Beach Florida since 2009. He understands the big disconnect between will marketing companies and the real estate agents that they attempt to help. You always have an active real estate agent that will be able to consult you and/or your team about the direction of your Internet marketing, social media and general SEO. Our website optimization services are customized for each and every client. We check your current website health, keyword rankings and goals. Next, we will determine what course of action will be best for you. One word that realtors do not often here is FREE! This truly is a no strings attached technical analysis of your website. This is the perfect place to start. Social media for real estate agents cannot be ignored today. If you are not actively marketing on Facebook and other social outlets you are missing many qualified buyer and seller leads. Web Tech SEO is extremely proud to be Google AdWords Certified. This means is that we have gone through rigorous and extensive training with Google. After the very in-depth and intensive classroom training. It was followed up with 2 separate 100 question exams. According to Google, the AdWords certification is a professional accreditation that Google offers to individuals who demonstrate proficiency in basic and advanced aspects of AdWords. Having received this certification gives you the peace of mind that Google recognizes us as an expert in online advertising. Don’t just trust anyone that says they know how to properly advertise your brand on Google. Look for someone that is Google AdWords certified like us. 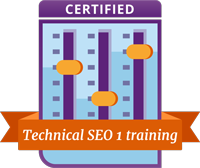 Web Tech SEO is certified in the above courses by Yoast. 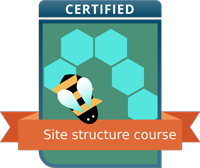 All these SEO courses are taught by world-renowned SEO specialist Joost de Valk. Just like real estate is ever-changing the world of SEO and Internet marketing makes changes nearly every day. This is why we are always updating our education to keep up with today’s current Internet marketing demands. We promise to always be on the cutting edge of local real estate SEO.